The SST 6 Hybrid BOA has impeccable functional and stylish details such as the removable heels and athletic stitched lines. The shoe features removable slide soles and heels. Dexter is implementing the BOA Lacing System in the SST 6 Hybrid BOA. The BOA system started out in snowboarding boots and has evolved into hiking boots, golf shoes, work shoes, and now bowling shoes! This innovative lacing system contains three main parts: a micro-adjustable dial, super-strong lightweight laces, and low friction lace guides. These three parts work together to ensure the best fit. Grab a pair of these new SST 6's and never have to worry about your shoes again! Hello! These will be a synthetic upper. Are they very light or heavy? These will be like a regular weight for a bowling shoe. It will not be heavy nor light. 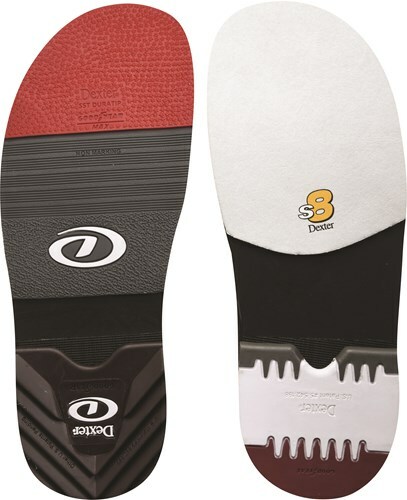 Are the SST 6 Hybrid/BOA removable soles compatible with “the 9” soles or are the soles the regular SST soles? These will be compatible with the SST soles. Do they have them for left handers? How does these shoes run, size wise? 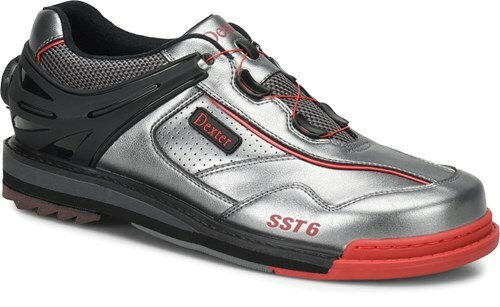 Are there any bowling shoes that tie with velcro rather than laces ? Will I be able to return these, if there is a problem with them? We offer these in a D width and a EE width. I used 9.5 in 3G shoes, could I order these in the same size? We recommend going with your normal shoe size. We do offer the True Fit Guarantee for only $3.99 if you need to exchange the shoe for a larger or smaller size. Due to the time it takes to produce the Dexter Mens SST 6 Hybrid BOA Grey/Black/Red Right Hand ball it will ship in immediately. We cannot ship this ball outside the United States.